campus fires Archives - Guardian Safety Solutions International, Inc.
Dallas – March 9, 2016 – Guardian Safety Solutions International, Inc. (GSSI) launched its new Guardian G600B fire suppression system, the only UL/ULC listed system that works with over the stove microwaves. GuardianSSI, the leader in the development and manufacturing of superior fire suppression equipment for commercial occu pancies where residential appliances are in use, showcased the new product at the National Association of Fire Equipment Distributors last week in Las Vegas. The specifications for the Model G600B include electronic operation with electric and gas ranges. It works with any standard over the stove microwave/range hood. Each system is UL/ULC listed with a gas or electric fuel shutoff. The G600B has an updated, integrated self-diagnostic CPU board with a monitored pressure gauge. 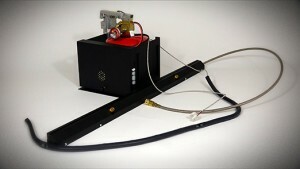 It features a pull-pin holder for arming the system, an alarm connection for a trouble and activation signal, quick and easy plug connectors and an RF transmitter and receiver for wireless shutoff connections. Benefits of Guardian systems include automatic operation, continuous 24-hour protection, concealed installation, easy clean-up and proven reliability. For end users, Guardian Fire Suppression Systems offer substantial savings over a traditional commercial system. “The Guardian fire suppression systems are increasingly accepted nationwide as code officials are educated to the hazard protection advantages the GSSI systems provide,” Rouse added. He added that the new 600BC is the only system for mobile applications like RVs and boats. Guardian Safety Solutions International, Inc. (GSSI), the leader in the development and manufacturing of superior fire suppression equipment for commercial occupancies where residential appliances are in use, is exhibiting at the National Association of Fire Equipment Distributors (NAFED). The Sectional Conference & Expo, is March 3 – 4, at the Monte Carlo Casino & Resort, Las Vegas. NAFED’s guiding mission is gathering and disseminating information and ideas that will improve the world’s fire protection and increase the fire protection industry’s competence. “NAFED is a key player in the fire protection industry showcasing the latest technological advances. 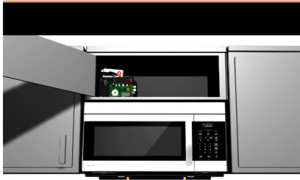 That’s why we are launching our new Guardian G600B, the only current listed system designed to work with an over the stove microwave,” said Paul Rouse, GSSI’s administrative officer. “Our Guardian products are designed to detect and extinguish fires and prevent re-ignition in senior housing facilities, college campuses, churches, fire stations, hospitals and other commercial occupancies,” Rouse said. It’s Fire Prevention Week 2015 October 4 – 10, and this year’s focus is on installing smoke alarms in every bedroom, outside every bedroom and on every floor, including the basement and garage, according to Guardian Safety Solution International, Inc. Smoke alarms near in the kitchen and near a shower can give false alarms, so it is best to install photoelectric-type smoke alarms so burnt toast or humidity from a hot shower won’t set them off. 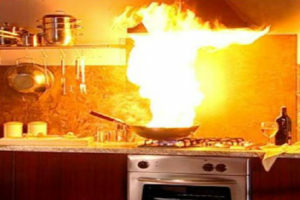 The National Fire Protection Association reports that cooking was involved in 156,400 home fires in 2010. These fires caused 410 deaths, 5,310 injuries and almost $100 million in direct property damage. Those were the reported fires, but it is estimated that more than 12 million unintentional home cooking fires go unreported and cause 640,000 injuries annually. In addition to working smoke alarms and a handy fire extinguisher, Rouse recommends installing the Guardian III Model G300B, UL and ULC listed with a fuel shut-off. The Guardian is designed to detect and extinguish cooking fires and prevent re-ignition in private homes, apartments, senior housing, college campuses, hospitals and other facilities. See how the Guardian works here. Once it detects heat at a pre-determined temperature, the Guardian sends a signal to release an extinguishing agent that suppresses the fire. Guardian will also shut off the gas or electric supply to the stove in order to prevent reigniting. 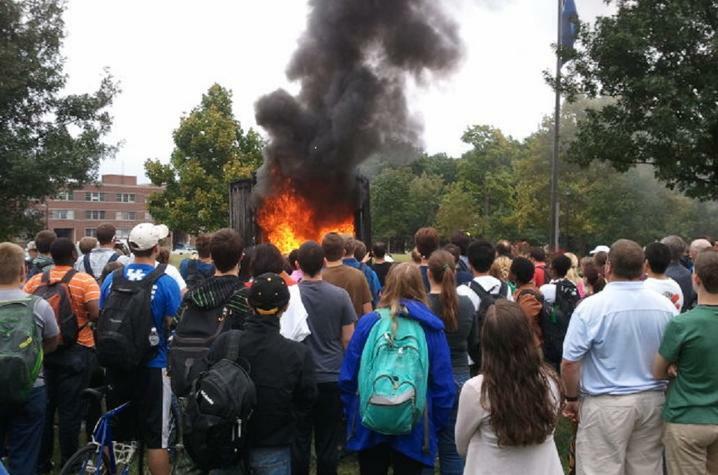 “It makes sense in this busy world to have as much safety equipment as possible available to prevent or extinguish kitchen fires,” says Rouse. Protecting families worldwide since 1985, GSSI’s mission is to develop and distribute quality safety products that provide customers with peace of mind, while protecting lives and property. Contact GSSI at 800-786-2178 or visit www.guardianssi.com, “Like” on Facebook and follow on Twitter @GuardianSSI.